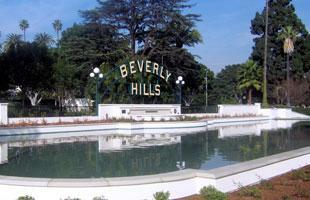 Do you know what your Beverly Hills Community Services Department does? From the Recreation & Parks Division to Seniors Services and from public art to the Beverly Hills Public Library, we're here to help enrich individuals and the community. Click below for links to our many programs, services, and special events or explore our gallery. We know it can be frustrating when you can't find the information you're searching for on a website. Throughout the Beverly Hills website, there are helpful menus along the left, with drop-down, sub-menus. But we wanted to help you find what you're looking for as quickly as possible. So below is a handy list of links to various divisions, programs, services and Commissions affiliated with the Community Services Department. Have questions? Try our main line at (310) 288-2220. Thanks for visiting! The Community Services Department embarked on a 3-Year Strategic Plan with consultants Management Partners to formalize the department's mission, vision and goals, and to layout the department's priorities for the next three years. The presentation below was shared with City Council at the March 5 Study Session for directions and recommendations. City Council supported the plan and recommendations will be considered during the budget process. The Community Services Department provides exceptional cultural, educational, recreational, landscape, and social services to enhance and maintain a high quality of life and attractive physical environment in the Beverly Hills community. Media inquiries? Drop us a line.